Posted on September 23, 2018 by Jessica T.
This book was one I randomly picked up mainly because the cover art was interesting and seemingly had nothing to do with the synopsis. (I later discovered that the tent on the cover was intricately woven into the plot, which took me by surprise.) The story line intertwines the lives of three girls from three time eras: Adri from 2065, Catherine from 1934 and Lenore from 1919. 2065: Futuristic Adri is prepping to take a one-way trip to Mars in hopes of finding a feasible way for human life to prosper there. As she trains for her flight, she stays in Kansas at her distant cousin’s house. 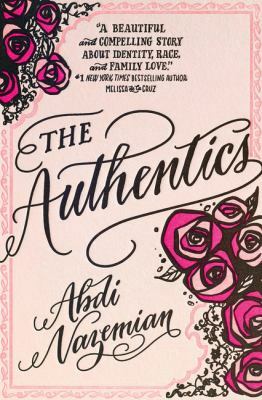 Here, she finds a journal and letters of a girl that lived there over one hundred years ago, thus leading to a puzzle of the past that Adri is determined to solve. 1934: Living in Kansas during the treacherous Dust Bowl, fear and unpredictability of the future sinks its claws into Catherine’s family and lover. She must overcome all odds and find the strength to do what she deems right to save the person she loves the most. Even if it means running in the opposite direction of everyone’s advice and never looking back. 1919: Lenore struggles to recover from the impact of World War I and the loss of her brother by keeping her chin up and sending letters to her best friend. She decides to move to America in hopes of finding a better, happier life but obstacles make her journey nothing less than arduous. I thought there was no possible way these three girls could have anything in common, especially if they’re all from drastically different time periods. However, Jodi Lynn Anderson found a clever way to link them all together, while highlighting the balance between family and friends, fate and adventure. All the pieces clicked into place seamlessly and made for a beautiful plot. 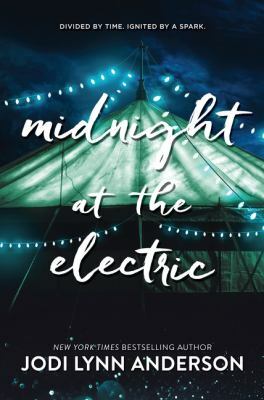 Midnight at the Electric was one of those books I couldn’t stop reading and once I finished, I had to take a minute to gather myself before continuing on with life. I definitely recommend this book to those who want something mysteriously intriguing but also touching and easy-to-read! Posted on January 28, 2018 by Anmol K.
Most children dream of becoming astronauts and going to space. Even though most of us do not go to the moon, the dream of going to space is always there. In the book, Waste of Space, the dream comes true for ten teenagers. The production company, DV8, needs a new television show, and they come up with Waste of Space. The premise is to send ten teenagers to space in a spaceship, where they will live together for an indefinite amount of time, and will have to deal with everybody aboard the ship. In reality, however, the teens will be taken to a sound stage in the middle of the New Mexican desert. DV8 is own by an ambitious, young man named Chazz Young who would do anything for his shows to get views. Working with NASAW (a different group of scientists from NASA), Young is able to produce a show that leaves a lot of people wanting more along with a lot of questions. Picking this book, I was enticed by the summary of the book. The book is not written like a normal novel because it is a compilation of evidence by an investigator. It is like this because contact with the kids is lost in the middle of their time aboard the “spacecraft.” Initially, I just thought it was going to be a story about the kids finding a way back to earth, but it was different from the typical story about people finding their way home. Instead of being an adventure in “space,” the novel is a mockery of American television and culture. The portrayal of the teenagers and the way Young handles the various issues of his show make fun of reality shows in America, and the seriousness some people have when watching them. Another layer to this story was the mysteriousness of the NASAW organization. This aspect made the story more complex and mysterious. I would recommend this book to anyone looking for a satirical take on America with a layer of mystery and adventure. 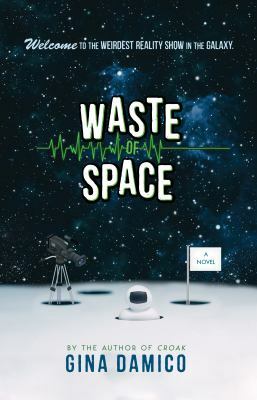 Waste of Space by Gina Damico is available for checkout from the Mission Viejo Library. 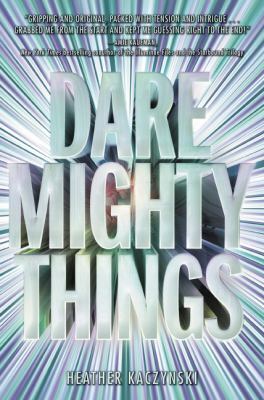 Posted on December 15, 2017 by Anmol K.
Dare Mighty Things by Heather Kaczynski is a science fiction novel about a competition organized by NASA among the brightest, gifted young adults from across the globe. One of these great minds belongs to seventeen-year-old, Cassandra Gupta. She has been training for a chance like this for her entire life. She is at the top amongst her classmates, but she must compete and be better among the others, who are of her caliber. The winner of the competition will be chosen to join astronauts on a secret mission. Cassie is determined to be the one to go on that mission. As part of the training, everybody has to go through various physical and mental tests. Through the competition, Cassie discovers things about herself and others around her. When the time comes to chose someone for the mission, NASA picks someone who, in their eyes, will be the most successful. The plot of the book was what enticed me to pick up this book to read, and I am glad that I picked it. With a great main character, the book kept me reading it till the end. Cassie is head strong and determined, which is the driving force behind the plot of the book. Also, she is able to keep going past her limitations; this is true, especially when she is in life and death situations. With a surprising ending, this book will be sure to keep you on the edge of your seat. Dare Mighty Things by Heather Kaczynski is available for checkout from the Mission Viejo Library. 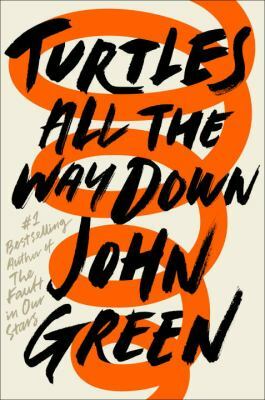 Posted on November 27, 2017 by Mirabella S.
Turtles all the Way Down, a novel by John Green, tells the story of a teenage girl named Aza who struggles with obsessive compulsive disorder. After one day becoming involved in the search for a fugitive billionaire Russell Pickett, she is reunited with an old childhood friend: who happens to be the aforementioned billionaire’s son. 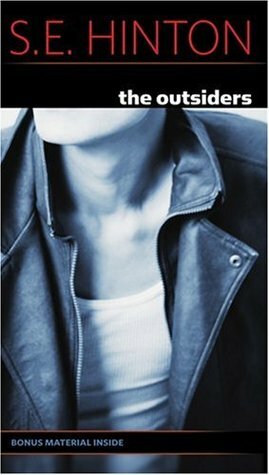 Despite the search for Pickett taking the spotlight as the guiding force of this powerful novel, the resulting work of fiction depicts a battle with mental illness sharpened by author’s personal struggles with OCD. As Aza balances her fear of the human microbe, school, a budding relationship, and a criminal hunt, she begins to discover that in her own struggles, she has withdrawn from the world around her. The entire work highlights the value of life, much in the way past John Green novels tend to do. However, Turtles all the Way Down stands out from the rest of Green’s work. It obviously rings with his unique writing style and emotionally moving qualities, but also coursing through the veins of this work is a level of authenticity that makes it relatable to our very human nature. As a personal fan of John Green, I came across this book expecting it to be incredible. I was not let down in the slightest. I could talk about the character development that enriches the plot of the story. I could talk for hours about how the comic elements of this novel are balanced with sharp, relatable reality in a way that triggers emotion within the darkest recesses of your brain, even as the main character discusses Star Wars fanfiction. I could even talk about how despite the obvious focal point of the novel being a criminal investigation, every other element of the novel becomes a tapestry of woven word and plot, with each string tugging and guiding the next into forming a textile of humor and sadness. But I digress. Simply, this book is a must read anyone who wants to read a funny, emotional, page turner of a novel. Turtles All The Way Down by John Green is available for checkout from the Mission Viejo Library. It can also be downloaded for free from Overdrive.